In 2016, the KIA added an assistant curator of youth and family programs, with a goal of the organization becoming a more inclusive, education-aligned community resource. This new position is part of an effort to connect with people who are not already part of the KIA family. The public response has been gratifying, with a significant increase in attendance. 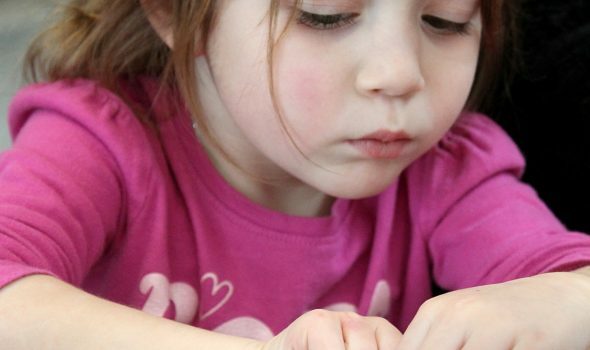 • Art Detectives, a collaboration with Lift Up Through Literacy, utilizes stories, interaction with exhibits, and hands-on opportunities so as to encourage young people and their families to imagine, create and innovate. • The Back to School Block Party, a collaboration with Kalamazoo Communities in Schools, features an introduction to the KIA’s redesigned Youth Interactive Gallery, as well as related activities that encourage participants to stretch their imaginations. • A Dia de Muertos (or Day of the Dead) Festival, a collaboration with the Hispanic American Council, celebrates the Mexican holiday with traditional food and dance, while introducing festivalgoers to the KIA, its programs, and its activities. Parents connect with their children and, together, they connect with art, the creative process, and the KIA. The KIA connects with a variety of new community organizations. That’s the art of connectivity. 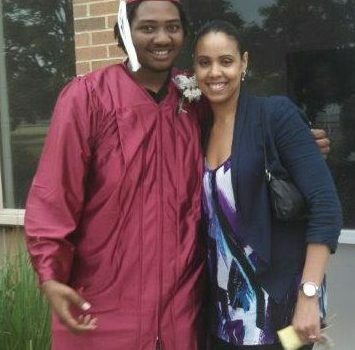 Education ReConnection is an initiative designed and operated by Kalamazoo RESA’s Youth Opportunities Unlimited (YOU) to positively impact the graduation rates of youth in Kalamazoo County. This program works to reconnect disengaged youth to an established pathway toward secondary school completion. All nine Kalamazoo County public school districts have been critical partners in the program’s establishment, sustainability, and success. Through YOU, each student has the support of a classroom teacher and is provided a customized learning plan to fit their learning style. These plans use innovative classroom management techniques including flexible scheduling, a year-round calendar, online educational modules, and smaller class sizes that enable more frequent one-on-one interaction. This individual relationship is critical to ensuring a student’s continued participation in school and, eventually, their success in graduating. Students also have the opportunity to participate in Work Based Learning, a paid work experience offering students an opportunity to earn a wage and learn valuable insights as to what companies’ desire in employees. Post-secondary preparation and guidance, career exploration and placement, advanced training, and career laddering information are all embedded in the program as well, to ensure student success beyond high school. The Kalamazoo River Valley Trail (KRVT), which saw its first groundbreaking in 1998, began as a vision of the Parks Foundation of Kalamazoo County and the Kalamazoo community. KRVT currently boasts 22 miles of beautiful and safe paved trails. Kalamazoo residents have demonstrated their love of the trail, and with each year trail use increases. In 2016, the trail saw more than 260,000 users walking, bicycling, exploring nature, commuting to work, and/or utilizing the trail as part of their exercise regimen. KRVT is proving to be a popular landmark for everyone. 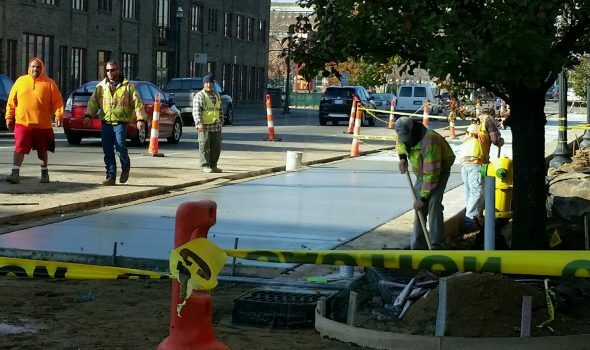 Recently, community interest has grown around extending the KRVT through downtown Kalamazoo, affording users a safe and enjoyable connection to the restaurants, breweries, festival sites, campuses, and shops that make downtown fun and unique. The proposed route — determined by planning and engineering teams, stakeholders, community members and partners — ensures a safe and successful connection. Construction for the KRVT Downtown Connector has already begun, and projected completion is expected in the spring of 2018. Early Introduction to Health Careers II is the WMU Homer Stryker MD School of Medicine’s first-ever pipeline program. 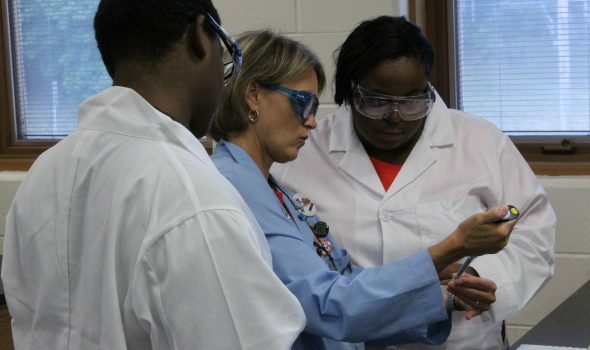 The goal of the program is to develop an interest in biomedical science and health careers among underrepresented and disadvantaged high school sophomores and juniors from the Kalamazoo Public School district. The program is designed to improve science content comprehension and acquisition of problem solving and critical thinking skills, and enhance student success in higher education attainment. In the 2015–16 school year, approximately 25 KPS students participated in a monthly Saturday Science Academy at the School of Medicine. 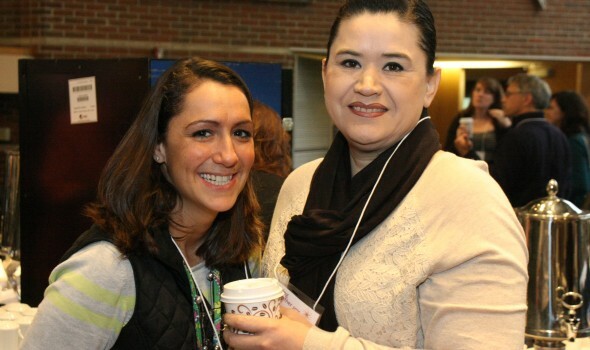 Participants heard presentations from, and connected with, Kalamazoo area healthcare professionals representing a wide array of careers and specialties. Students and their parents received coaching on study skills, financial preparation for college, and the finer details of utilizing their Kalamazoo Promise scholarship. 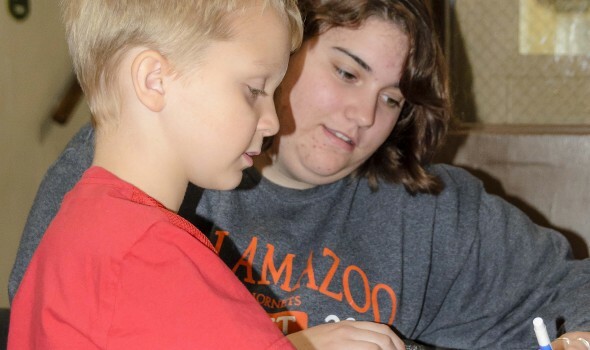 In the summer, the medical school partnered with Kalamazoo College to provide the high school students with an intensive summer camp experience. Students spent one week gaining laboratory and research experience in the anatomy lab at K-College, and another at the medical school with med-student mentors. At the medical school, students developed clinical skills such as taking heart rate and blood pressure, and conducted research to develop and present case study posters on the final day of camp. The program is now in its second year and has expanded to eight Saturday sessions and increased enrollment to now serve 52 sophomores from the Kalamazoo Public School District. WGVU’s Kalamazoo Lively Arts series connects artists with the community through the creation and sharing of stories about the many artists and art forms helping to define Kalamazoo. In 2016, through 13 weekly programs, Kalamazoo Lively Arts shared the stories of more than 50 artists and groups, representing a wide variety of visual art, performance, and many other forms of expression. This series is designed to give the public a deeper look, striking a balance between entertainment and educational value. To provide multiple viewing opportunities, expand the reach of the series, and give the featured artists and arts groups maximum exposure, WGVU broadcasts each weekly episode several times throughout its 28-county-wide coverage area, home to approximately 2.5 million people. This series is also shared via social media and uploaded to a dedicated WGVU Kalamazoo Lively Arts webpage at: www.wgvu.org/kalamazoo-lively-arts. Cradle Kalamazoo, led by YWCA of Kalamazoo, is a multi-agency initiative with a mission to reduce infant mortality among babies of color from 15 to 6 per 1,000 live births by 2020, by promoting safe sleep practices, health equity strategies, reproductive health options, and by supporting families through home visitations. Partners are working to implement evidence-based strategies that can eliminate racial disparities while reducing infant mortality rates, including coordinating care and services offered by family support programs dedicated to providing services for pregnant/expectant mothers, family members, and infants. These programs connect parents and infants with resources, both inside and outside the home. 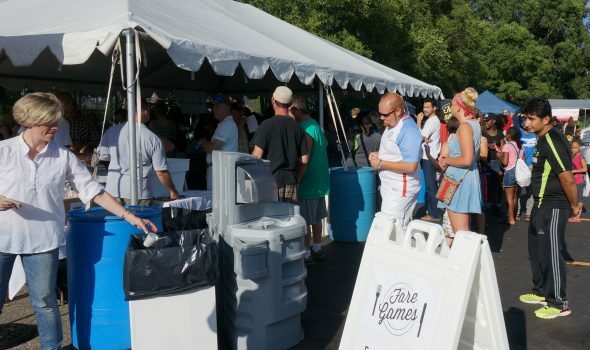 Hot summer nights, great jazz, and Bronson Park are the winning combination that the Arts Council of Greater Kalamazoo, Fontana, and the City of Kalamazoo have created for their Thursdays in the Park — Mix & Mingle series. 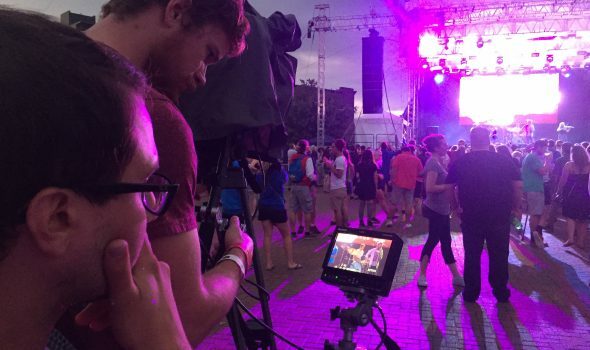 In its second year, this series welcomed jazz greats for lively, interactive experiences targeted at a younger, non-traditional audience, jazz that Kalamazoo has never before experienced in a summer outdoor concert series in Bronson Park. World-renowned jazz guitarist, vocalist and band leader John Pizzarelli opened the season. Featured on “Late Night with Jimmy Fallon” and “Letterman”, Pizzarelli’s utterly cool and resonant sound wowed Kalamazoo with a standing-room-only performance (thanks to a summer thundershower!) at First United Methodist Church. It may have rained outside but there was hot jazz in the house. Kalamazoo native and local icon, singer and songwriter Nat Zegree brought screaming fans from tweens to seniors out to Bronson Park on a picture perfect evening in July. Performing a combination of jazz and contemporary favorites and work from his debut album, Zegree had the audience on their feet (and on the Rotary Stage) as part of a high energy performance. Possessing confidence, oozing with charm and an amazing voice, it was easy to see why Kalamazoo loves this favorite son. 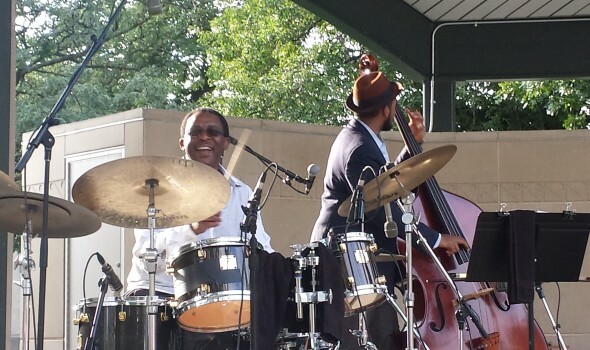 Closing out the series in August was master drummer Herlin Riley. A regular at Jazz at Lincoln Center, Riley has recorded with artists such as George Benson, Dr. John, Harry Connick Jr., and toured with Wynton Marslis. Riley’s sound is timeless — a sound that has at its foundation the various musical styles that make the New Orleans sound unique. It’s gospel, it’s the blues, it’s the sound of celebration, the sound of life. He left Bronson Park pulsing with soul and celebration. Watch for another great Thursdays in the Park series in Bronson Park. You won’t want to miss it! Communities In Schools overcomes the barriers that derail kids, giving them hope and the belief that they can succeed in school, graduate, and be prepared for life. But how can a single organization working alone serve the needs of 9,310 students? It can’t. That’s why Communities In Schools of Kalamazoo (CIS) taps the talents of more than 550 volunteers and works together with more than 90 community partnerships to deliver the services and resources students need to address the needs of the whole child. In America, 1.2 million students drop out of school every year. CIS uses a proven model for reducing dropout rates and increasing graduation rates. Kalamazoo is part of a powerful, collective approach for communities to respond to needs of students. This unique model positions CIS site coordinators inside 20 Kalamazoo Public School buildings to assess students’ needs and provide resources to help them succeed in the classroom and in life. CIS site coordinators literally bring the community, and all the ways it can help, into the school. This is how CIS surrounds kids with whatever it takes — from tutors and food assistance to health services and college visits — so they can start strong and keep moving forward. Children — some facing overwhelming obstacles — are succeeding and taking advantage of The Kalamazoo Promise. Every day, people choose to be part of an engaged community so that every child fulfills his or her promise. Together, we are igniting hope and belief in thousands of kids. In 2007, Community Healing Centers set a goal to bring community members together “To enhance public and professional knowledge, understanding and attitudes toward persons suffering from addictive disease.” We believed that, with this knowledge and with community conversations, we could reduce the stigma associated with addiction and help more people receive treatment. This was the beginning of the Coming Together Conference on Addiction and Recovery. Each year since, nationally recognized speakers, authors, and actors have come to Kalamazoo to share their expertise and stories to help educate and inform the community while enhancing conversations about addiction and recovery. The Specialty Program in Alcohol and Drug Abuse at Western Michigan University has been a partner in this conference from the beginning. In 2011, the Drug Treatment Court Foundation joined as a partner, and throughout the years, other local businesses and foundations have become supporters of the project. Presenters have included Dr. Claudia Black, Sis Wenger, Dr. Robert Ackerman, William Cope Moyers, Martin Sheen, Earl Hightower, Mark Lundholm, Dr. Carlton Erickson, Dr. Carlo DiClemente, Dr. Robert Zucker, Dr. Lisa Najavits and Dr. Jeannette Johnson. Our conference and community event have a great reputation in the field and presenters are pleased to be a part of this. Each year, the Coming Together Conference on Addiction and Recovery includes a community event that is free and open to the public and an all-day conference for professionals and community members that offers continuing education units for various professions. Community Healing Centers is proud of the growth of the conference, and especially of the community conversations that have resulted from it.